What more interesting than discussing about the construction of town hall 8 base design. 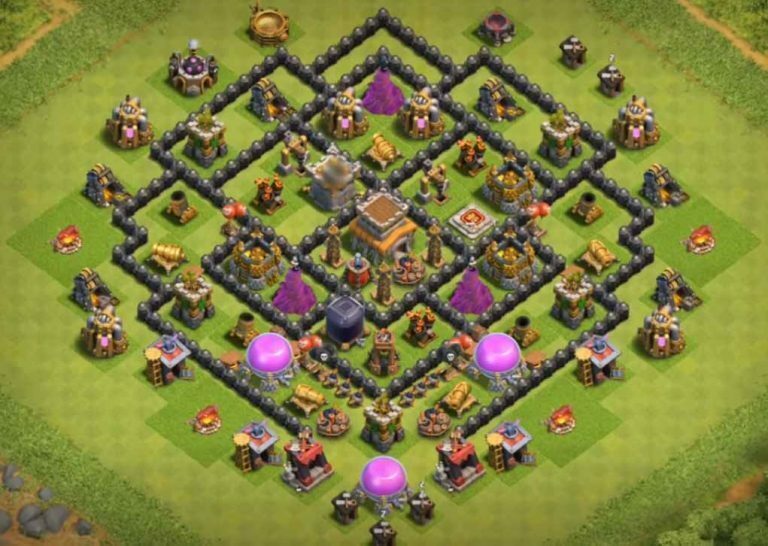 The beauty of the above clash of clan’s town hall 8 base layout is the placement of town hall along with the Tesla's units in the center of the core compartment. The bombs are placed very well, In the one open spacing from the bottom of the town hall 8 base layout. Never use this layout for protecting to your loot because it’s really bad at that. The main of this layout design is to confuse the opponent troops and defeat the purpose of attack. The layout which is present right above us has the best great cross section of walls. Well now this type of design you can use for farming. By looking at the layout design you can come to a conclusion that this layout design has storage's placed all along the th8 base which is really a great sign because, from whichever side the opponent attacks the level 8 base it will be definitely gets harder for the opponent to take the entire loot. Now this layout design has well placement of spring traps, some are placed between walls and other are placed between defense units, so it trigger them easily without any doubt. Which really helps in defending. This layout design can also can be used in war but make sure to switch the cc as your wish, because that’s what make it interesting for opponents. 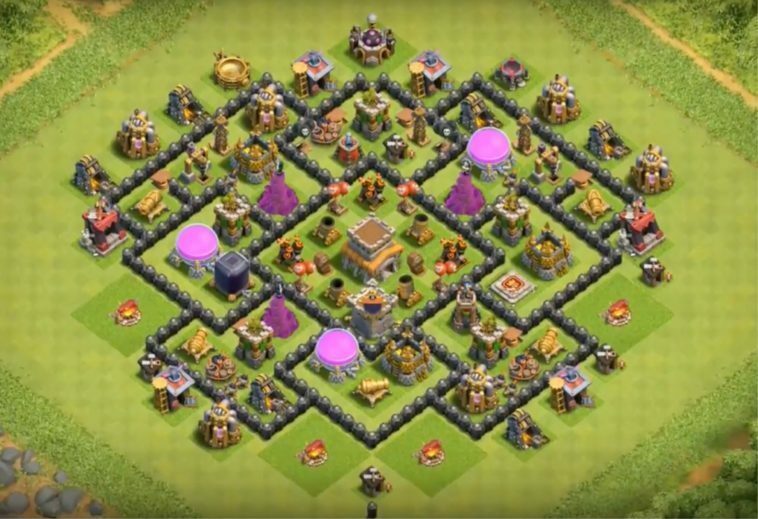 We are here with one more clash of clans town hall 8 base design, this is one of the best th8 base design I have used so far, V shaped compartment are the best way to look at it when it comes to designing the layouts. The center has clan castle along with town hall 8 , dark elixir and tesla units. Exception thing is the placement of air defense units I the secondary compartment, always make sure that whenever you design the town hall base design air defense units should be placed in the secondary even if its for war or farming.